The National Weather Service in Brownsville has issued a Red Flag warning for the entire Rio Grande Valley. The advisory will be in affect from 10 a.m. until 7 p.m. today. The NWS reports a dry cold front will move across the region this morning and behind the front, low relative humidity and elevated winds will combine to produce critical fire danger. Wind gusts of 20 to 30 mph or higher are anticipated. The humidity will be about 15 to 25 percent. 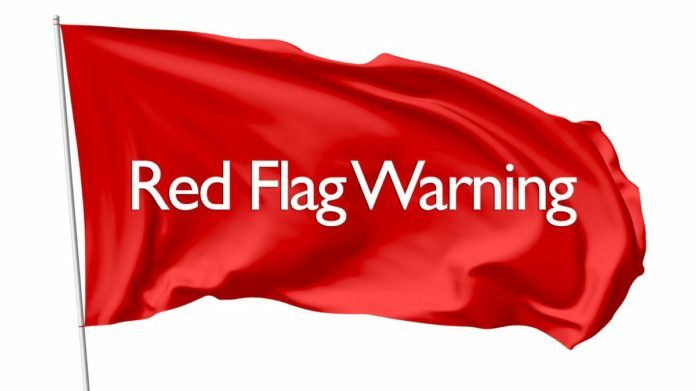 A Red Flag Warning means critical fire weather conditions are occurring or could occur.